Brilliant location. Nice large living room and amenities. Beautiful view, large living room and kitchen, quiet, safe, and it was very nice that my sister and I were upgraded to a single bedroom suite rather than a studio- The price is very reasonable for the quality of the amenities. The location, the comfort, the facilities, everything is this place is absolutely fabulous. Really good location with everything you need. Large spacious living space and comfy rooms. Really easy to get checked in and wa shown how to access the building. Location was fantastic in Cardiff Bay! I was fortunate enough to be upgraded to a larger room and whilst I was travelling on my own, the extra space was very nice to have. It felt like a home from home and was a good place to work when I wasn’t on location somewhere. Apartment was overall very clean, had great amenities and a super comfy bed. 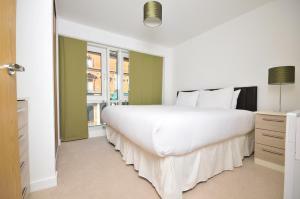 Lock in a great price for Quayside Serviced Apartments – rated 8.5 by recent guests! Quayside Serviced Apartments This rating is a reflection of how the property compares to the industry standard when it comes to price, facilities and services available. It's based on a self-evaluation by the property. Use this rating to help choose your stay! 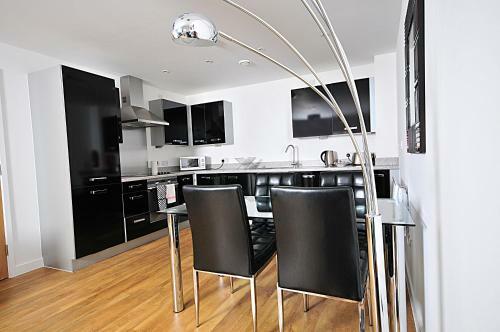 In the heart of Cardiff’s stylish Quayside district, opposite the Wales Millennium Center, Quayside Serviced Apartments offers beautiful interior design, fully equipped kitchens and chic furnishings. Each living area also includes a flat-screen TV. There is a contemporary dining area with chairs and dining utensils, with wall art or mirrors included in some apartments. Each modern kitchen is fully equipped for self-catering, including an integrated oven/hob, microwave, fridge, dishwasher and a full set of kitchen cutlery and crockery. 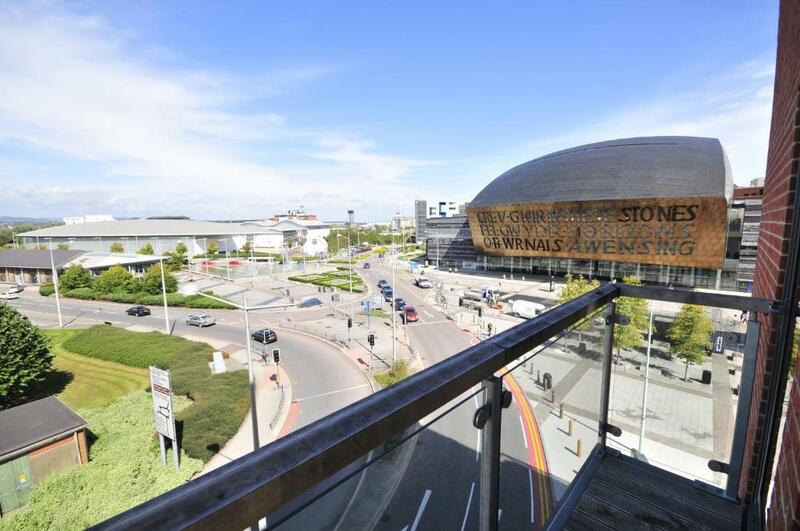 Cardiff city center is a 5-minute drive or 15-walk away. The restaurants, cafés and cinema in the Red Dragon Center are 5 minutes’ walk, while Mermaid Quay’s many bars and shops are on the doorstep. 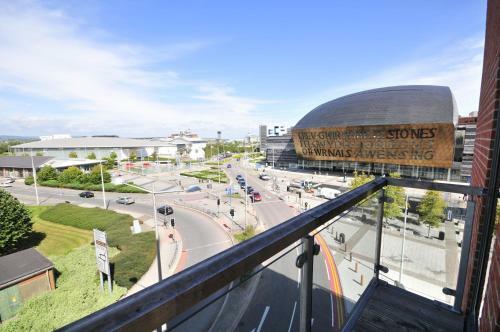 Cardiff Bay is a great choice for travelers interested in restaurants, sightseeing and food. When would you like to stay at Quayside Serviced Apartments? 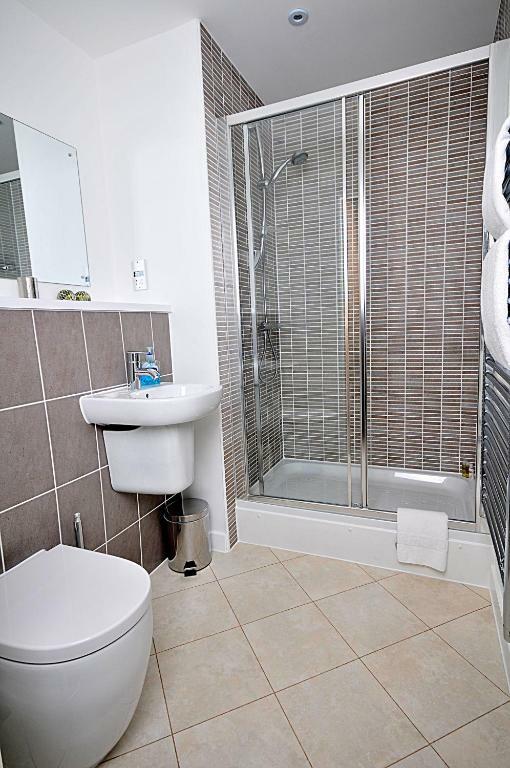 These self-catering 2 bedrooms and 2 bathrooms apartments are fully furnished to a high standard, and each features an LCD TV and iPod docking station. The fully-equipped kitchen comes with a dining area, washing machine and fridge. These self-catering 1 bedroom apartments are fully furnished to a high standard, and each features an LCD TV, DVD player and iPod docking station. The fully-equipped kitchen comes with a dining area, washing machine and fridge. These self-catering studio apartments are fully furnished to a high standard, an each features an LCD TV, DVD player and iPod docking station. The fully-equipped kitchen comes with a dining area, washing machine and fridge. 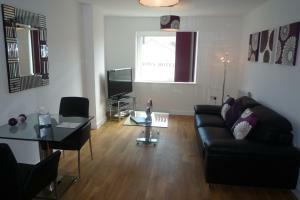 This apartment offers 2 bedrooms and 2 bathrooms and is fully furnished to a high standard. Each features a flat-screen TV and iPod docking station. 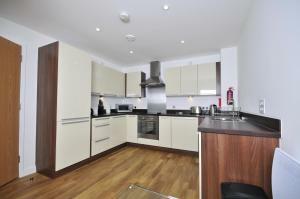 The fully-equipped kitchen comes with a dining area, washing machine and a fridge. This apartment offers 1 bedroom and 1 bathroom and is fully furnished. Each features a flat-screen TV and a iPod docking station. The fully-equipped kitchen comes with a dining area, a washing machine and a fridge. Area Info – This neighborhood is a great choice for travelers interested in restaurants, sightseeing and food – Check location Excellent location – show map Guests loved walking around the neighborhood! 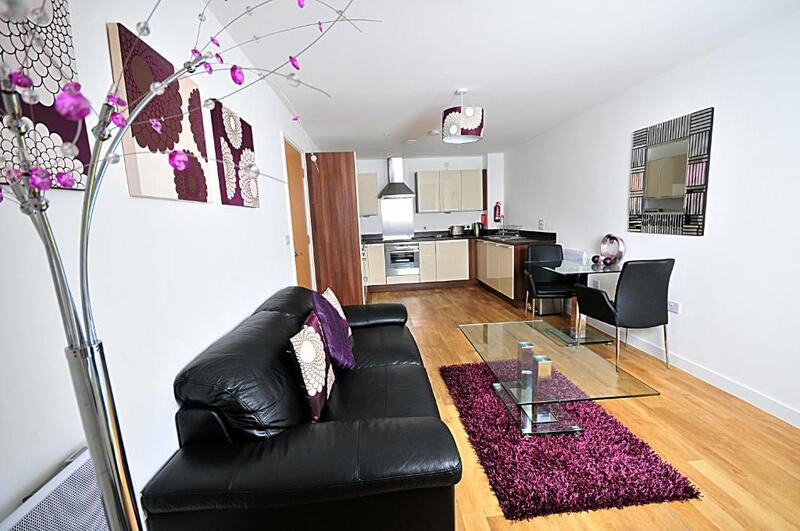 House Rules Quayside Serviced Apartments takes special requests – add in the next step! Quayside Serviced Apartments accepts these cards and reserves the right to temporarily hold an amount prior to arrival. Please be advised that A Space in the City do not accept bookings for people under the age of 25. Please note the same card used for the booking, together with a photo ID are required at check in. When booking, you must give your expected arrival time. Extra charges apply for check-in out of hours. The cost varies depending on the time and day. Arrangements for out-of-hours check-in must be made at least 48 hours prior to check-in. Lobby entrance includes a ramp to allow access to the elevator and is large enough to accommodate wheelchair/mobility impaired guests. There are no duplex apartments (apartments with stairs) and there are no steps in communal hallways or halls. One-bedroom apartments have split bed facilities which may make space restrictive in the bedroom for mobility impaired guests. Two-bedroom apartments space may be restrictive in the second bedroom for mobility impaired guests. Currently no apartments have been converted with disability features. Please note that this property does not accept cash payments. Group booking of 5 guests or more cannot be accommodated at this property. 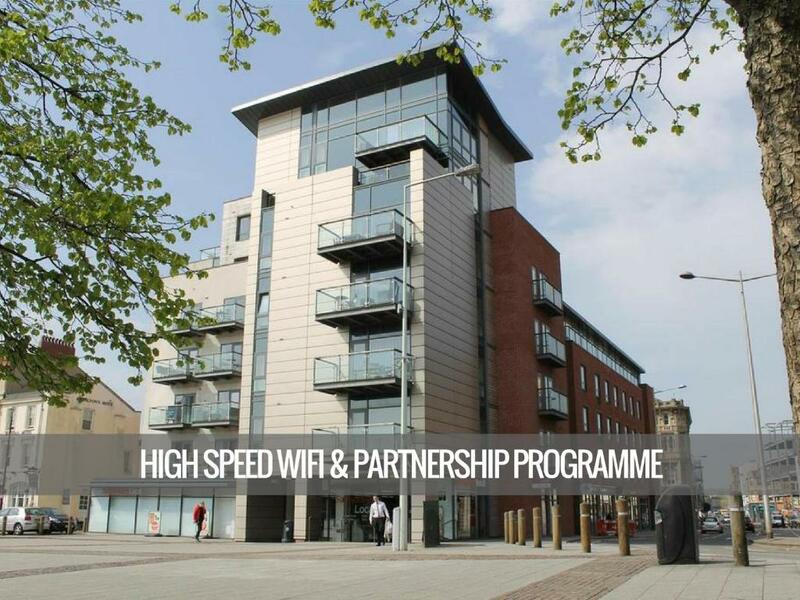 Please inform Quayside Serviced Apartments of your expected arrival time in advance. You can use the Special Requests box when booking, or contact the property directly using the contact details in your confirmation. Very tired apartment. Expensive for what we got. Could do with a good clean. Basic things missing - “light bulbs and sink plug. It was very unclear where exactly the apartment was. If it stated by sainsburys and where the nesrest car parks were it would have helped. Traceling with small children made the car parking a bit difficult, but tgis wasn't clear it would be a 5 mibs walk. We had no WIFI throughout our stay which made arrangements difficult. We called the agency twice ve and we on both occasions were told that they would get back.....but they didn’t ! Lot of human hair in the rug and in floor needed to he hovered more as my daughter kept picking up hair. Great location. Very easy to check in and out. The flat was nicely layout but the furniture's was looking a little worn and a smell of old smoke (cig) was always around. Nicer sofa in the room, wasn't very comfy! Also very slippy shower! Perfect location for 2 night stay in Cardiff Bay! The WiFi worked well on my laptop but wouldn’t work on my phone for some reason? Unsure on that one but it wasn’t a major issue, probably just a technical glitch. Very modern appartment in a good location.